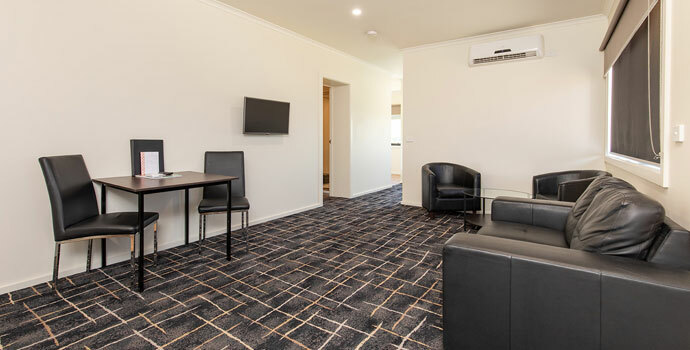 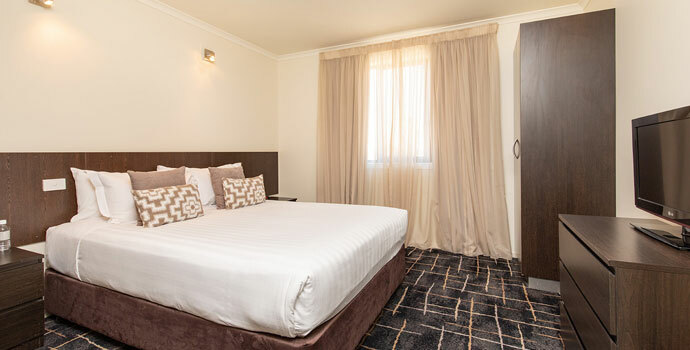 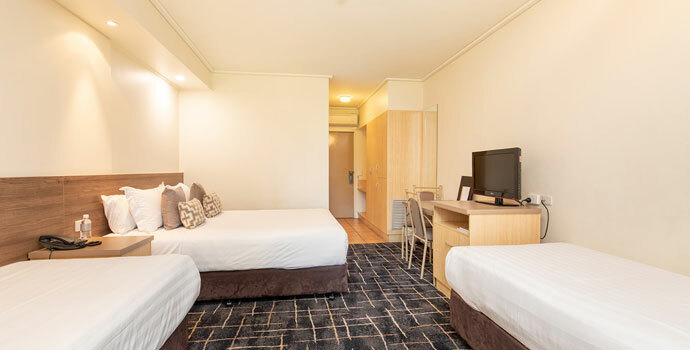 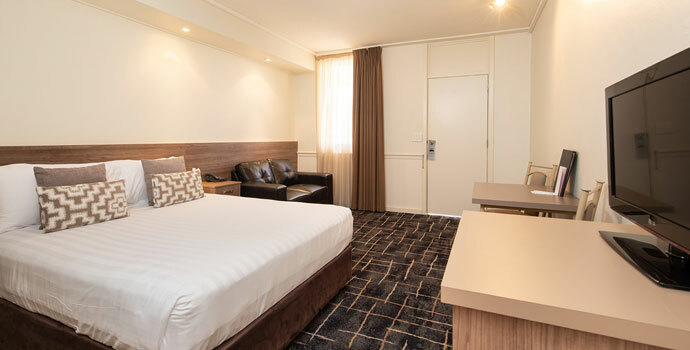 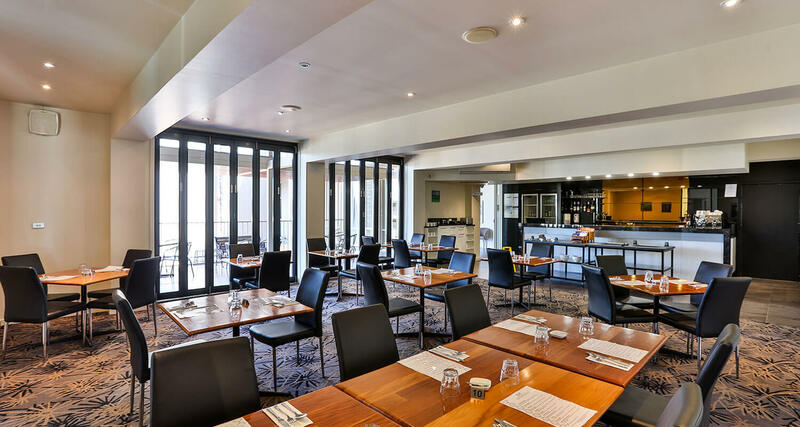 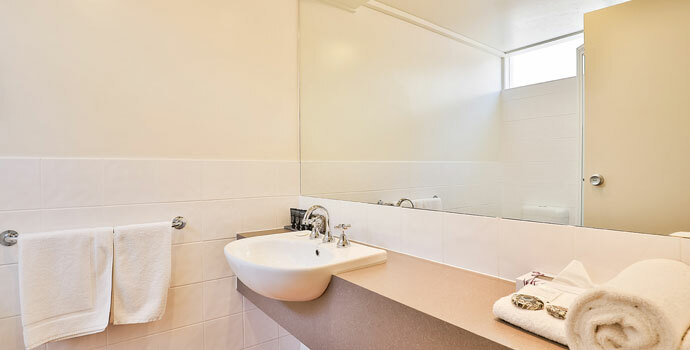 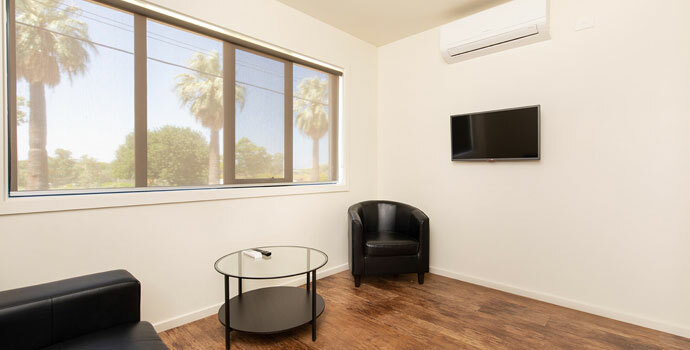 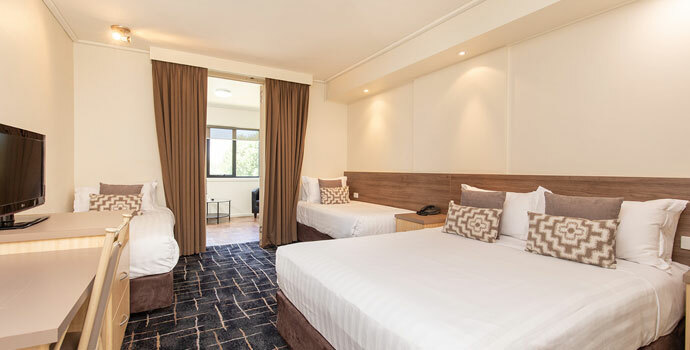 Book direct with Commodore Motel Mildura and receive the best rate, guaranteed. 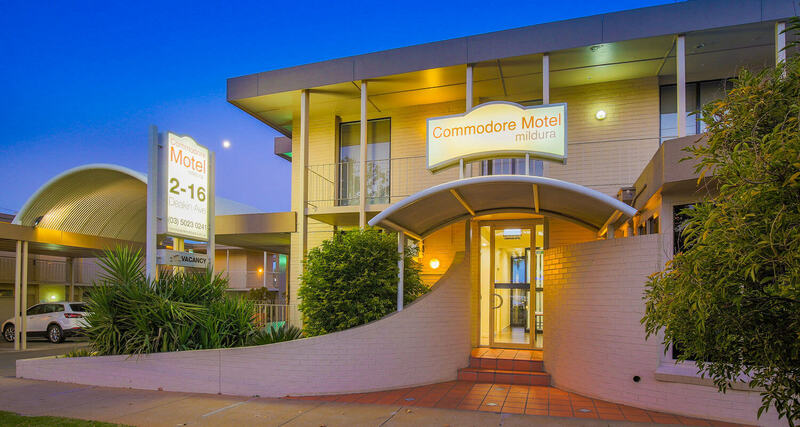 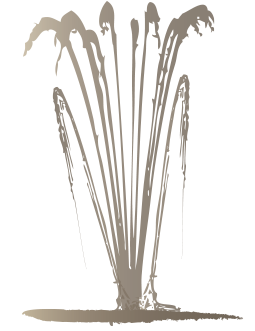 Sign up to Commodore Motel Mildura News and be the first to know about news, specials and upcoming events. 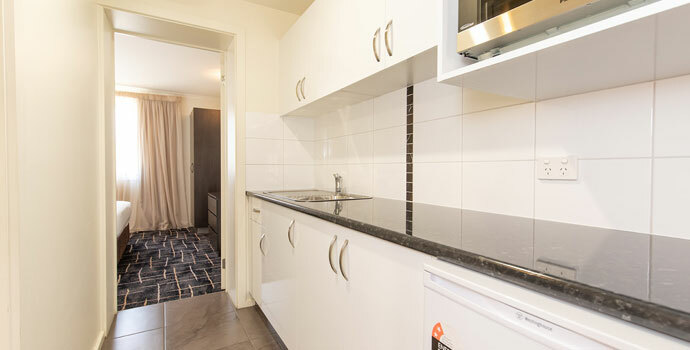 Within walking distance to the shopping and dining precinct. 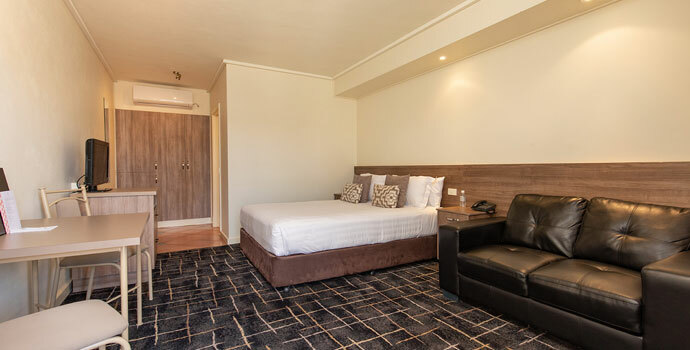 All our modern rooms are designed with comfort in mind and contemporary decor for both the business and leisure guest. 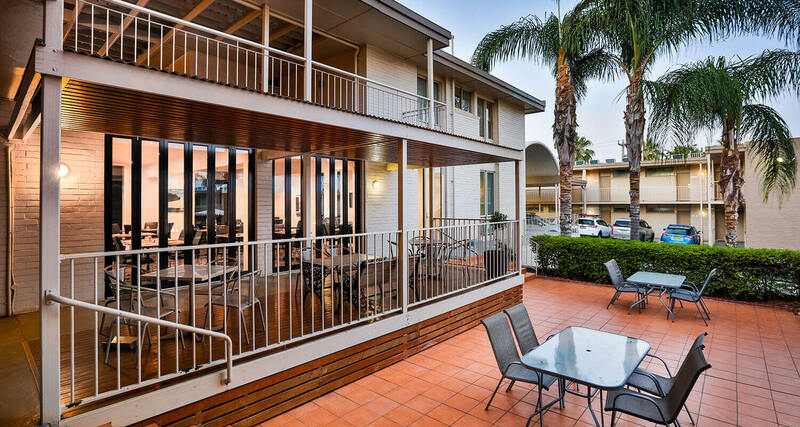 Complemented with a large swimming pool, courtyard, guest laundry, free Wi-Fi and off street parking. 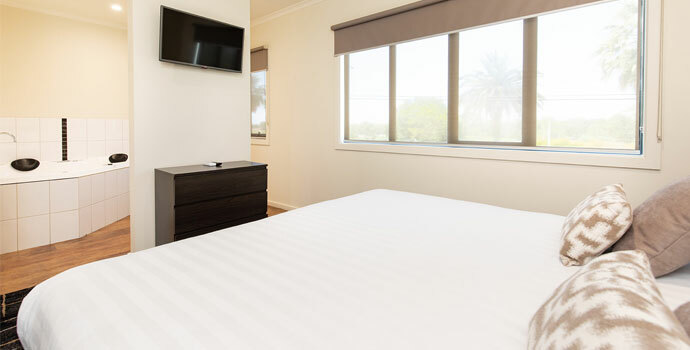 Our Riverside Suites overlook the lush green lawns of Seventh Street with distant views of the Murray River. 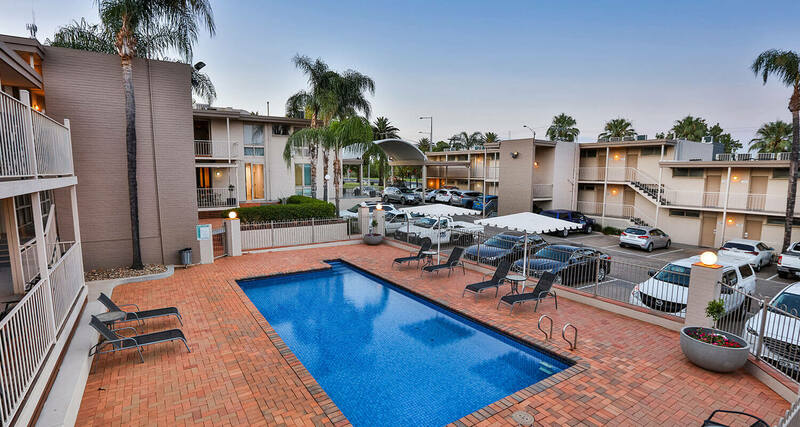 Our Poolside Suites overlook our sparking pool. 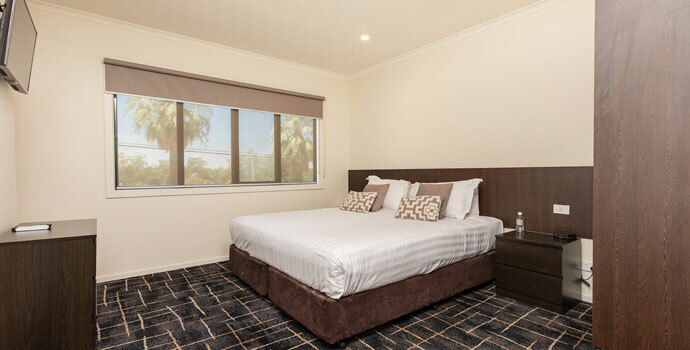 These rooms have a shared balcony area directly overlooking the pool, the perfect place to relax and enjoy a sunny day. 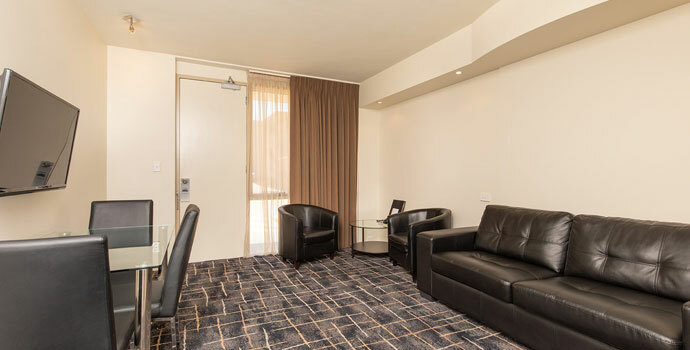 Our One Bedroom Studios are the perfect room for the leisure or corporate traveller with that extra added space. 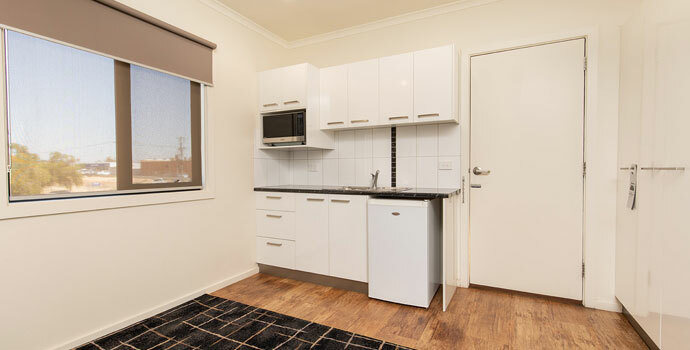 They feature a separate bedroom from the living and dining area with the added bonus of a small kitchenette including microwave & toaster. 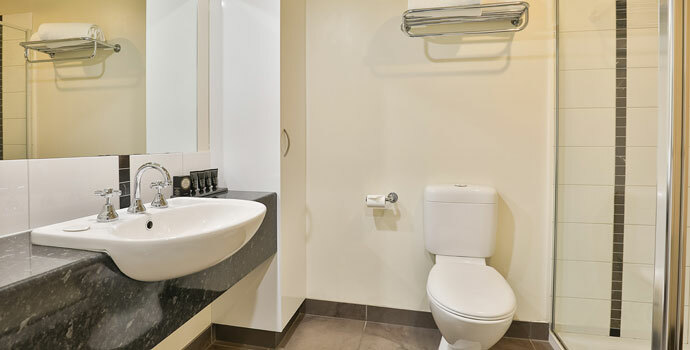 Our luxury Spa Suites are spacious with open plan living flowing into the bedroom with a corner spa. 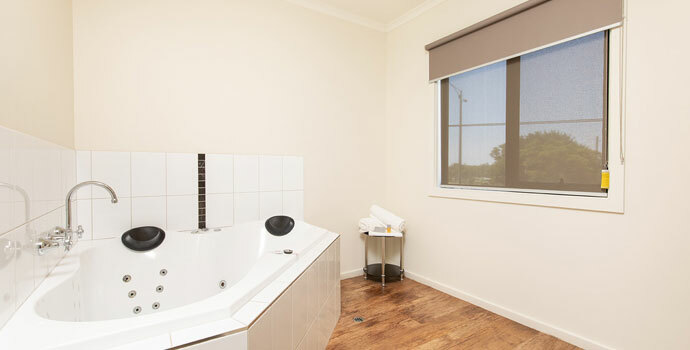 Enjoy the views of the lush green lawns of Seventh Street with distant views of the Murray River from the Spa itself. 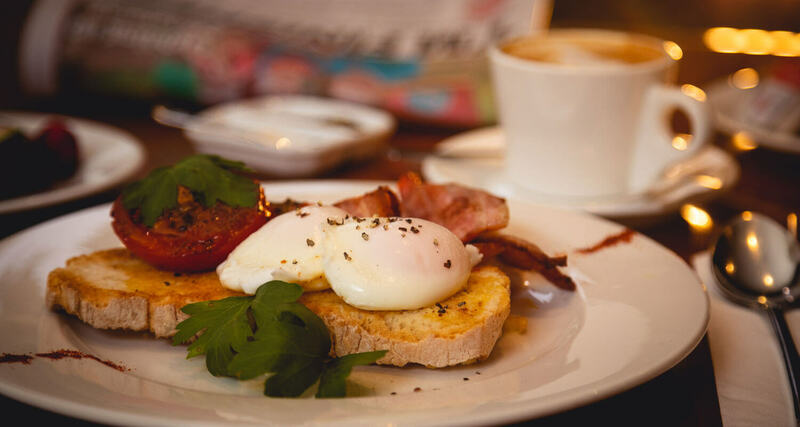 Currently the restaurant is open for breakfast only. 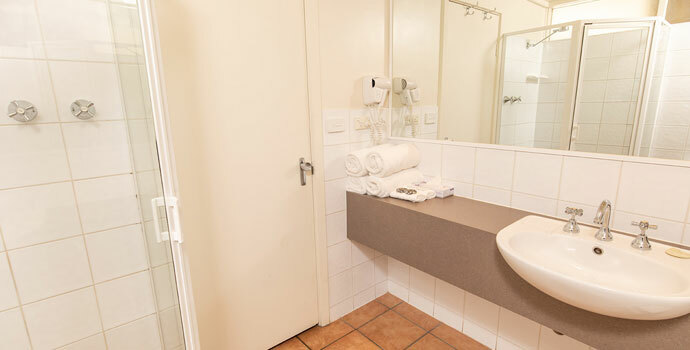 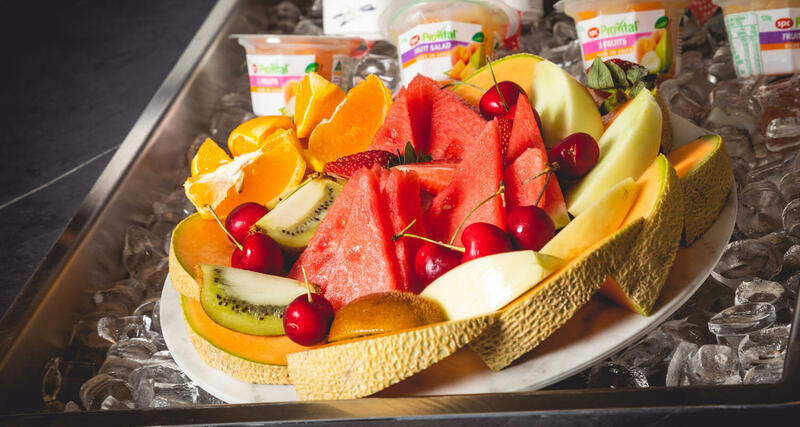 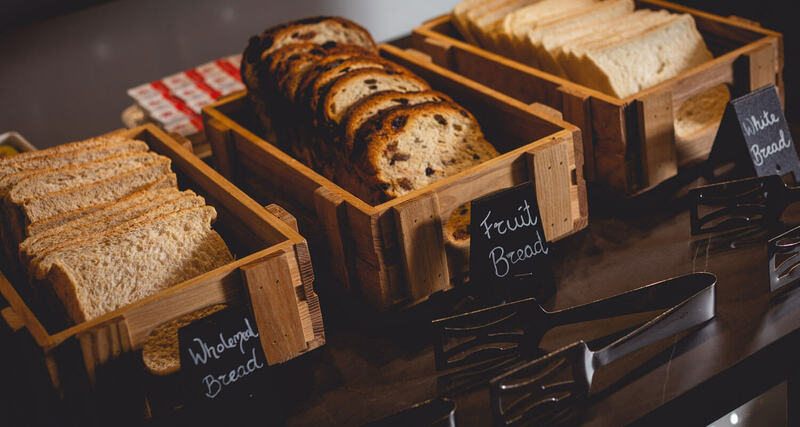 Continental breakfast is served daily and cook breakfast is served Monday to Friday 7am – 9.30am. 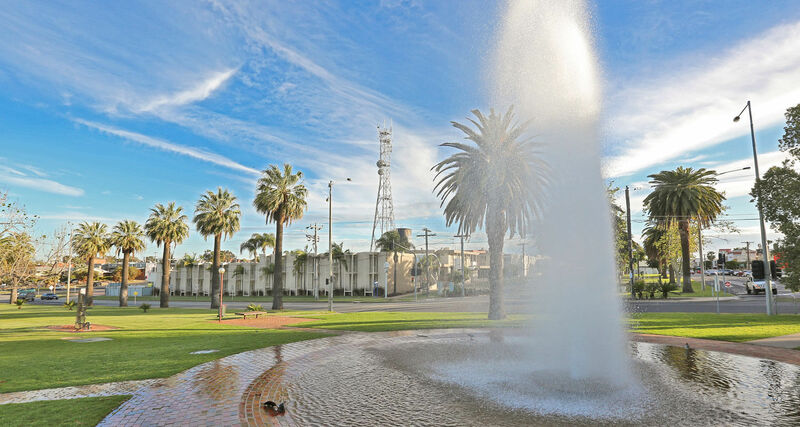 Weekends and Victorian Public Holidays 8am – 11am. 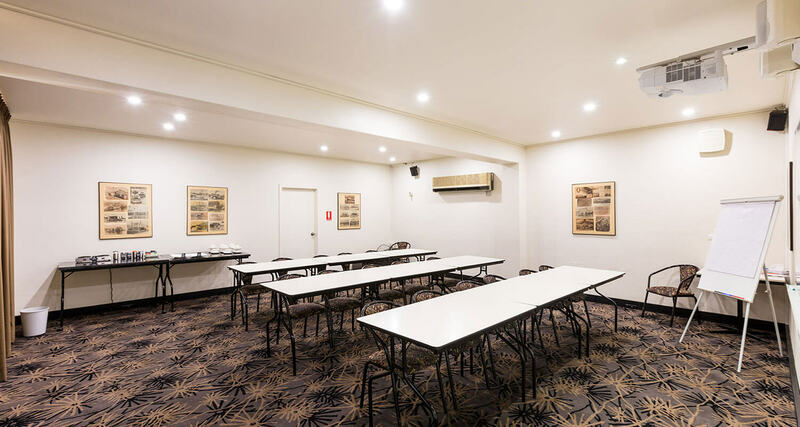 Our conference room is the perfect place for you to meet with delegates to brainstorm or conduct team bonding. 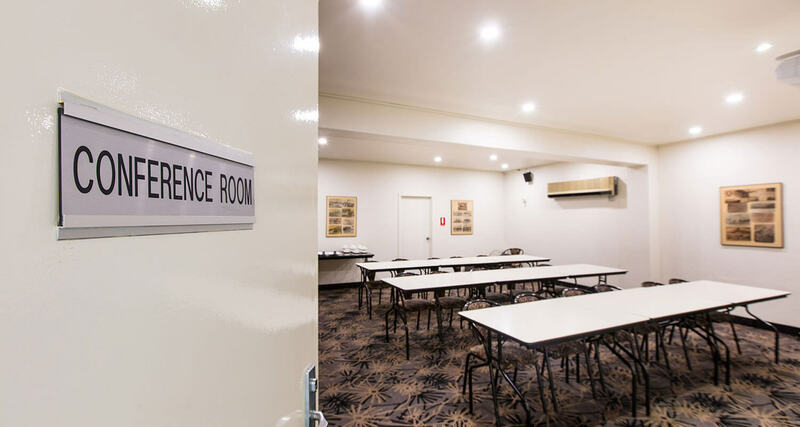 Please email groups@commodoremildura.com.au for our packages.